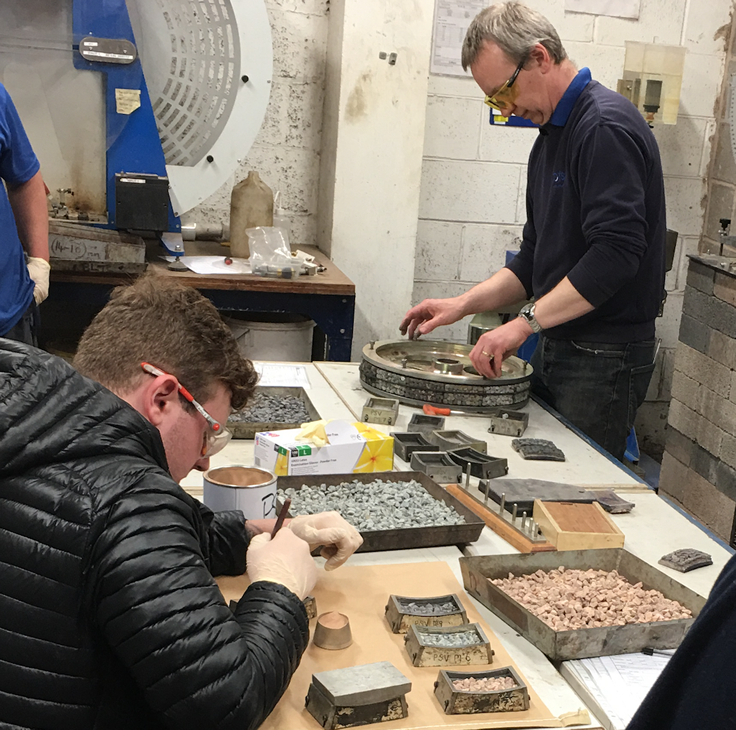 We have worked with Preston College to design a week long course based around site technician activities specifically in connection with Asphalt. Each technician carries out a Grading and PSV. Each technician carries out a Penetration and Softening Point. A site visit to a bitumen plant is included. Each technician carries out ITSM and Asphalt Analysis. A site visit to an asphalt plant is included. Each technician carries out a sampling task and laying record. Each technician carries out a rolling straight edge and texture depth. An NVQ assessor will be in attendance for the week carry out assessments on the technician's physical tests. All ten tests must be completed and a UKAS test sheet uploaded to the candidate’s online portfolio. The NVQ can be completed between six weeks and one year depending on the candidate’s prior experience, skills and time available to do the qualification. All work is uploaded via a portal and each candidate has their own workspace which shows them what percentage they have achieved towards the qualification for example the completed test sheets are a requirement as well as health and safety tasks etc which are done by the individuals outside of the classroom activities. The qualification is included in the CSCS card system (gold supervisory card) for Laboratory Technicians (see card finder on the CSCS website and input Lab technician as the occupation) so is essential from September this year for site access to carry out lab activities using the smart card process. There is an experienced worker route for the CSCS cards which gives a one year card providing the applicant has registered for an appropriate NVQ in line with their site activities. Candidates are given Affiliate Membership of the IAT which will be upgraded to Tech IAT on completion of the course. What will candidates achieve on this course? What does the course cost per technician? When is the course running?